Merchants selling online are, for better or worse, at the mercy of banks. Over 60 percent of all online transactions are conducted with a card, and these are accompanied by processing fees, and fraud liability. While these expenses are often offset by card users buying more, card transactions introduce a hidden danger that can hurt a merchant’s brand reputation, in addition to their bottom line: payment declines. The problem is, according to Riskified’s research, up to 70 percent of these declines happen to good customers who can afford to make the purchase. Why do banks make so many mistakes? Before answering that question, here’s a review of why payment declines happen. At this point, customers tend to become confused or angry; they know they can afford to make this purchase (and aren’t committing fraud), and from their point of view, it just looks like the merchant has refused their purchase request. How common are payment declines? Extremely common. Riskified’s research into the authorization process shows that for the average merchant, one in every ten e-commerce dollars is declined during payment authorization—meaning $340 billion will fail authorization in 2019! But when considering the impact of these declines, sheer volume is less of a concern than inaccuracy: when we dug into those declines we found that, depending on industry, up to 70 percent of these orders were placed by legitimate customers who could afford to make the purchase. This number is shocking, but understandable: the technical infrastructure and tools used by banks and payment processors to authorize payments are clunky and outdated. These systems—built in the 1990’s or earlier—are unable to keep up with surging e-commerce transaction volume and have not been adapted to current shopping trends. Why do banks make mistakes? The banks’ intentions are noble. For one, they want to guard the privacy of their users—they don’t want merchants to know if, for instance, a cardholder exceeded their credit limit. And second, if their exact decision process was public, it would be much easier for fraudsters to exploit it. But the effect for merchants is that the system that declines on average 10 percent of their potential e-commerce revenue is a black box. While it’s true that high-ticket orders are more likely to be fraud, banks are far too risk averse when it comes to these. As a result, payment decline rates in high-end verticals like luxury fashion can exceed 30 percent. Orders with international elements are particularly likely to be rejected. For instance, an order placed with a U.S. merchant, with a card issued by a French bank. When these parties aren’t familiar with each other there’s a relatively high chance that one of them will choose to decline the transaction. Our research suggests that because banks’ systems were developed so long ago, they are unable to keep pace with the rapidly changing e-commerce landscape. We know it’s really not that odd for a customer to, say, make a purchase while they’re traveling and request to pick-up in-store in their home town once they come back. But, like many legacy rules-based review tools, banks seem to be risk averse when it comes to orders with apparent mismatches. First, there’s the lost revenue. Merchants operating in more vulnerable verticals—sneakers, high-end fashion or travel, for instance—can experience payment decline rates in the range of 20-to-30 percent. When you consider that, again, up to 70 percent of these are good orders, that’s a staggering dent in your bottom line. And then there’s the brand impact. As mentioned above, shoppers rarely understand the ins and outs of the authorization process, and tend to blame the retailer for the payment decline. Merchants are held responsible for rejecting orders they never even had the opportunity to accept. 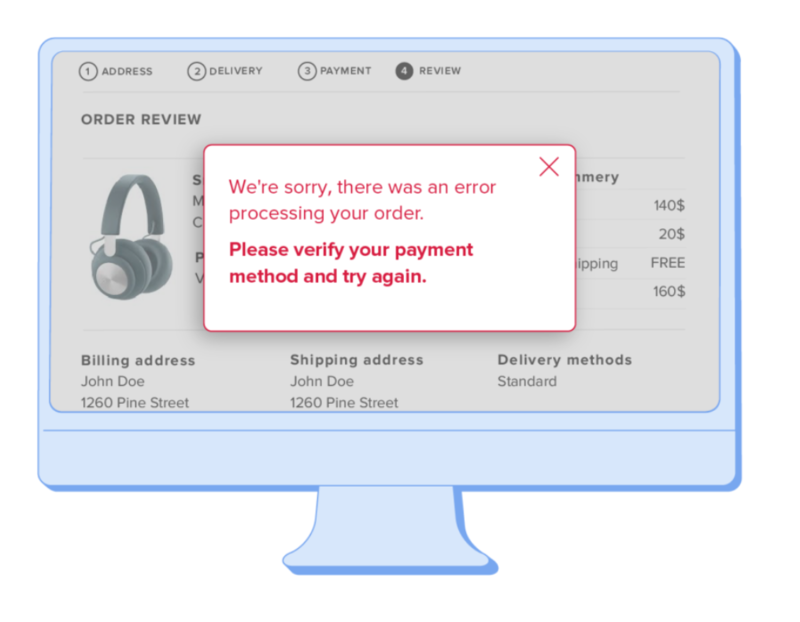 And having your payment declined is a frustrating experience—Riskified’s consumer survey found that over half the time, shoppers abandon their cart after the first payment decline. It’s a bad look when a customer is declined at your site, but the purchase goes through with a competitor. How Can Merchants Fight Back? Merchants are suffering because of banks are clinging to inefficient processes. That’s why Riskified created Deco—a new product that leverages our fraud-detection expertise to recoup revenue that is lost to payment declines. To learn more, check out Riskified’s guide.